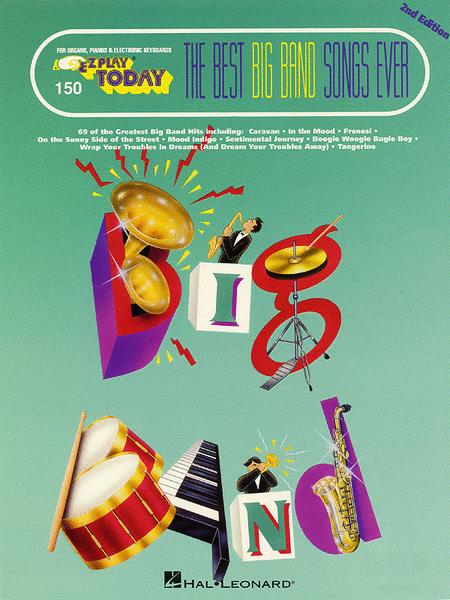 69 great big band hits, including Caravan, On the Sunny Side of the Street, Tenderly and more. For organs, pianos, and electronic keyboards. E-Z Play Today is the shortest distance between beginning music and playing fun. Now there are more than 300 reasons why you should play E-Z Play Today. * World's largest series of music folios * Full-size books - large 9" x 12" format features easy-to-read, easy-to-play music * Accurate arrangements... simple enough for the beginner, but accurate chords and melody lines are maintained * Eye-catching, full-color covers * Lyrics... most arrangements include words and music * Most up-to-date registrations - books in the series contain a general registration guide, as well as individual song rhythm suggestions * Guitar Chord Chart - all songs in the series can also be played on guitar.